When he was a child growing up in an inner-city neighborhood in Louisville, Kentucky, the desire to excel, give back and mentor took root for Monroe E. Harris, Jr., D.M.D. “My dad told me with education and hard work you can do whatever you want,” recalled Harris, an oral and maxillofacial surgeon in Richmond and a partner in the practice of Virginia Oral & Facial Surgery. His college-educated father, unable to find a job as a chemist, worked for the Postal Service. Undaunted by the limitations placed on his own career dreams, the father imbued in his son a passion for education that allowed Monroe, one of only two black students, to graduate No. 1 in his class at the University of Louisville School of Dentistry. Known now for supporting the development of youth and for his philanthropic engagement – which includes providing free oral surgery to patients in Richmond at the Crossover Clinic, the Fan Free Clinic, Donated Dental Services of Virginia and Missions of Mercy as well as supporting the development of youth – Harris is no stranger to achieving other firsts. 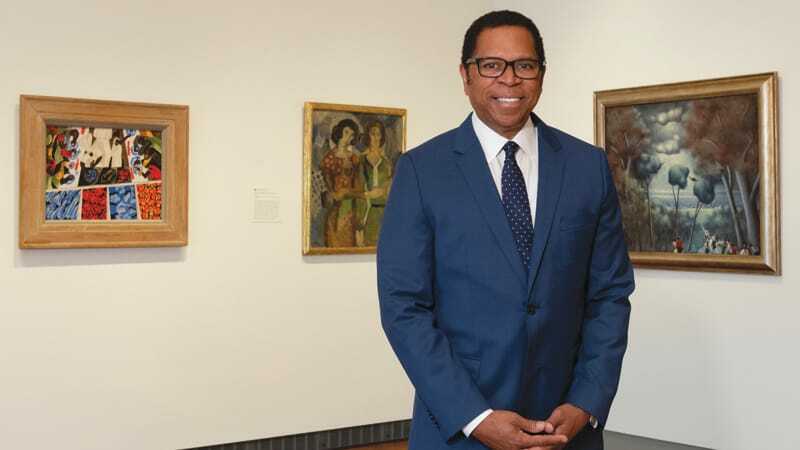 In July, Harris was elected president of the board of trustees for the Virginia Museum of Fine Arts (VMFA), one of the largest comprehensive art museums in the United States. He is the first African-American to hold that position. He was also the first black president of the Virginia Board of Dentistry. The former president of the Virginia Board of Medical Assistance said his passion for African and African-American art drove his foray into philanthropic endeavors. He credits his family, who pitched in to help his dad raise him after his mother, Bonita, died when he was 5, for shaping his desire to give back. 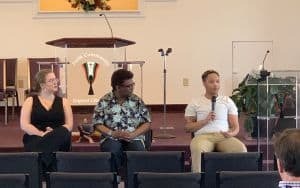 “I came up humbly; we didn’t have a whole lot,” said Harris, who’s also past president of the Board of the Virginia Repertory Theatre and board chair of the Black History Museum and Cultural Center of Virginia. 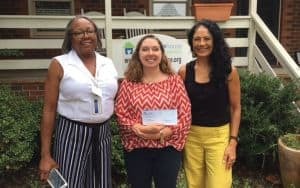 “So when I finally had an opportunity to help others and the community, I started volunteering and getting involved with nonprofits,” at the suggestion of Richmond school leaders Dayle Dunn and Lucille Brown, among others. His long relationships with VMFA began when he helped to raise money to gift the “From the Mississippi Delta,” a painting by the late Murray DePillars, to VMFA in 2006. “They got wind of me and added me to the foundation,” he said, chuckling. He is a former president of the Foundation Board of Directors and previously served as a trustee and the board’s executive vice president and vice president. For Harris, mentoring is something he always fits into his busy schedule. Of all of his contributions, knowing that six of his mentees, four men and two women, have become dentists or oral surgeons is among his proudest. But nothing motivates Harris to share his time and resources like his family. 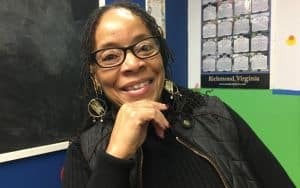 Robin Farmer, an award-winning journalist with more than 25 years’ experience, has worked as a staff writer for The Hartford Courant and the Richmond Times-Dispatch, where her work earned her national honors.